Kentucky is proud of its soldiers and recognizes that expiration dates are nowhere on their priority lists when the time comes to answer the call of duty; therefore, military personnel are offered renewal extensions and special orders. If you are stationed outside of Kentucky, you can renew your driver's license by mail. 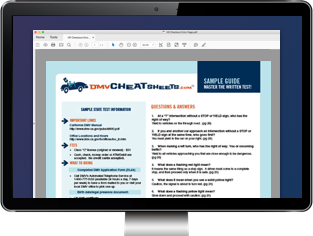 Simply contact your resident County DMV office to request a renewal and any further instructions. If you allow your driver's license to expire, you have 90 days upon your return to Kentucky to renew your license without taking the written and road tests again; however, if you let those 90 days pass, you'll have to go through the steps to renew an expired driver's license. Renew your vehicle registration through the mail with your resident County Clerk's office or online. If you choose to renew your registration through the mail, you must mail your registration certificate, proof of insurance, and all fees and applicable taxes. Note that you can't renew your registration online if your registration is expired, past due, or cancelled for any reason, or if your vehicle is registered with a personalized or specialty issue plate. If you renew your registration online, you'll be charged an extra service fee. If you're interested in ordering military license plates, you're in luck. Kentucky offers plates for all military branches, as well as the National Guard, and even has plates for special awards such as the Purple Heart and Congressional Medal of Honor. You can have your military license plate personalized and even get one for your motorcycle.